The raid and arrest of a staff member of the Suphan Buri province based Khao Kwan Foundation this week highlights the difficulties that now exist for informal medical cannabis supply networks to those in need as a new medical cannabis regime takes shape. That organisation and its founder, Decha Siripat, was praised his week by Bhumjaithai leader, Anutin Charnvirakul, for helping to provide medical cannabis to the poor. Thailand is already in the midst of an amnesty period when users and organizations involved with medical cannabis should be reporting to the authorities in order to avoid prosecution and incidents like this. The situation highlights emerging uncertainties among medical cannabis activists about the efficacy of the new law while the campaign platform of the Bhumjaithai Party has been confirmed as inconsistent with the new law and government plans by the boss of the Food and Drug Administration in Thailand. The Bhumjaithai Party, like social activists for medical cannabis, wants to see an open system, allowing farmers and users to cultivate the drug privately. It is not hard to understand why this would be unacceptable to Thai authorities who are rolling out, instead, a closed and carefully controlled medical cannabis system. Deep dissatisfaction is emerging among activists over the new Thai medical cannabis law and the ‘closed’ restrictive regime that is been ushered in by Thai authorities. A police raid this week on a highly respected foundation in Suphan Buri province highlights the concern. It saw the arrest of an employee and charges brought against the President of the organization. The raid has exposed the deepening fault line that is developing over the issue between an existing medical cannabis support network in Thailand and the government’s new structure being put in place. Thailand’s Office of Narcotic Control has repeatedly warned the public that cannabis remains an illegal drug for unregulated use. Thailand’s Bhumjaithai Party, according to unconfirmed reports, has emerged with 51 seats in the Thai parliament. It is seen to be in a powerful position and a potential political kingmaker when the new Thai parliament meets. 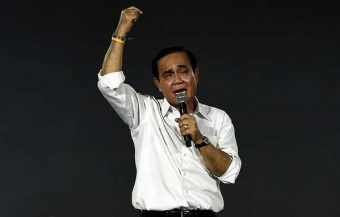 The party, led by Anutin Charnvirakul, campaigned strongly on a platform of allowing open cultivation of medical cannabis by Thai farmers and users. This has already been rejected by the Head of Thailand’s Food and Drug Administration as not being incompatible with the new law now being put to work. 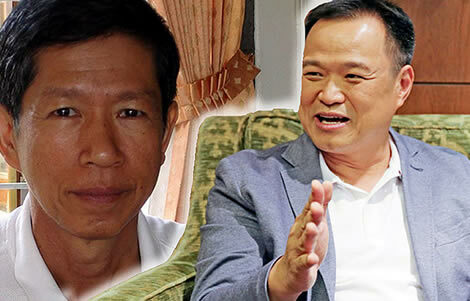 The leader of the Bhumjaithai Party (right) which is believed to have emerged with 51 seats in the new Thai parliament this week voiced his parise and support for the President of the Khao Kwan foundation, Decha Siripat (left). 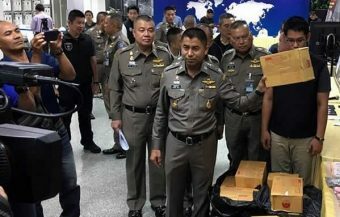 The foundation was raided by Thai police this week for cultivating and being in possession of cannabis for medical use. A staff members was arrested, charged and is being detained at the Suphan Buri provincial court prison. The highly respected President of the foundation was away on tour in Laos when the police raid occurred. 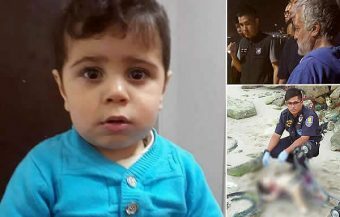 He has also been summoned by police to face similar charges. 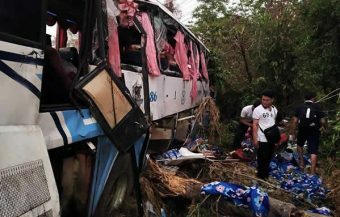 The incident highlights the growing concern among campaigners for medical cannabis and the informal network of supplier and users throughout Thailand that the new medical cannabis law and its implementation may cause disruption if matters are not ironed out. Many are calling for a more open and flexible approach while on the government’s side of the fence, it is easy to see why this may not so easy to agree to given the threat posed by illegal and criminal drug operators. The success of the Bhumjaithai party in the March 24th election and their stance on the issue is sure to make the issue a highly political one in the months to come. A new political front has opened up in Thailand. This time, it centres on the use and cultivation of marijuana or cannabis for medical use. 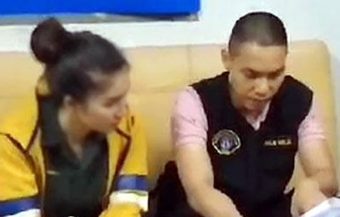 It follows the arrest of a staff member of a renowned medical marijuana foundation in Suphan Buri province, north west of Bangkok last Wednesday in a raid by Thai law enforcement officials and Thai police. The foundation researches medical marijuana use and distributes cannabis oil and other products to those in need through temples. 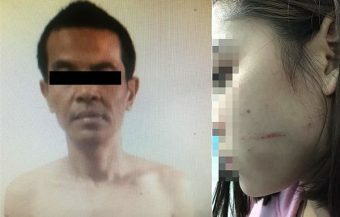 One staff member, Pornchai Chulert, was arrested during the raid and later charged at Sa Kaew police station. 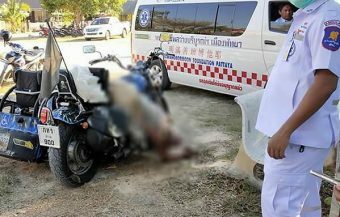 He is reported to be being held at the provincial jail in Suphan Buri. The raid occurred while the highly respected leader of the foundation was on a study tour in Laos. The move by law enforcement authorities illustrates an emerging division between official Thai government policy on medical cannabis use and the regime being created by the new law, passed last year, as opposed to the aspirations of Thai political campaigners and social groups on the issue. The rise of a Thai political party which campaigned primarily on this issue and which saw the party achieve a commanding 5th place after the Thai election may be significant. The Bhumjaithai Party is already seen as a key power broker when the new Thai parliament meets in late May. Although all figures are, as yet unconfirmed, it is expected that the Bhumjaithai Party achieved 11% of the vote with 3.7 million followers and 51 seats. The party is now in a position to swing votes either way in the lower house provided the current state of the parties holds. The success of the Bhumjaithai Party illustrates clearly the strength of feeling behind the medical cannabis issue in Thailand. The Bhumjaithai Party wants to see the law on medical cannabis use widened further in Thailand so that it becomes an ‘open’ system allowing Thai farmers and users of the drug more flexibility to grow and use the product for medical use. The new law, as it stands, has set up a strictly controlled, closed system where medical marijuana is grown under strict government oversight only on selected farms regulated by the government. Anyone involved in the prescription or distribution of marijuana substances must hold a valid licence. This can only be obtained through the Thai Food and Drug Administration and its Narcotics Committee. Legal and operational oversight of the new law rests with the Thai Ministry of Public Health. In February, Thai authorities announced an amnesty for all marijuana users in the country. They have until May to come forward and disclose their holdings of the drug while registering to avoid prosecution. 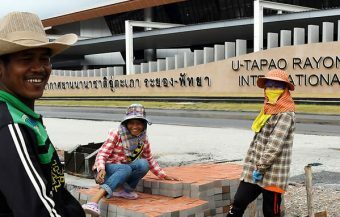 The move is aimed at social organisations who currently work with sick people in Thailand so that they come within the umbrella of the new regime. 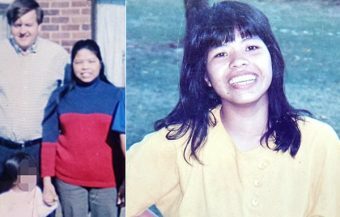 Under this regime, such people will not face prosecution but it is envisaged that at some later point, that those obtaining marijuana from what are now flexible and casual sources, will come under the remit of the Thai healthcare system where the drug will only be provided through legal channels. In the meantime, Thai law enforcement authorities and the powerful Thai Narcotics Control Board have warned the wider the public that cannabis or marijuana remains strictly illegal for recreational use and also, that unregulated cultivation of the crop is also highly illegal and subject to the same harsh punishments as before. It is clear now that this was not a law heralding a more relaxed era in Thai drug enforcement policy. In fact, arrests for casual drug use in Thailand and raids have been quite noticeable in recent months. A number of individuals have been arrested for cultivating and marketing marijuana on an industrial scale. These arrests have involved large police raids and the use of intelligence which have resulted in serious criminal charges being brought against those retailing or exporting medical cannabis products. 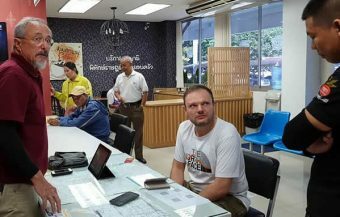 In the aftermath of last week’s raid on the Khao Kwan Foundation offices in centre of Suphan Buri, there has been a groundswell of support for that organisation. 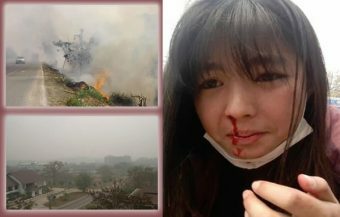 Its well known leader, Decha Siripat, has received praise and promises of support online from many leading campaigners. 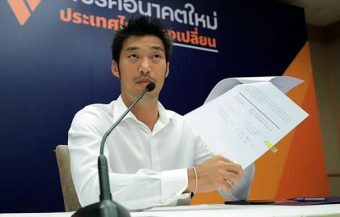 There have also been promises to assist a staff member of the foundation, Pornchai Chulert, the staff member arrested. He is being detained in jail on charges of illegal possession and cultivation of the substance following his week’s raid. 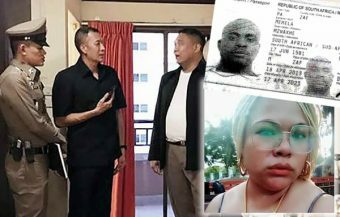 A police summons has been issued for the president of the foundation requesting that he attend the local Royal Thai police station in Suphan Buri and answer for similar charges. The foundation and its president are highly regarded by man for their work in developing optimal Thai rice seeds and crops as well as opposing the widespread use of chemicals in Thai farming. 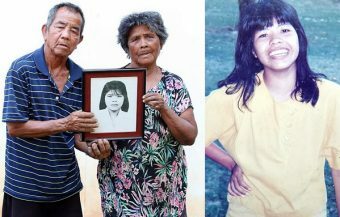 Support for the foundation leader has come from many quarters including a former Thai senator, Rosana Tositrakul, who praised his character as someone she has know for 30 years. 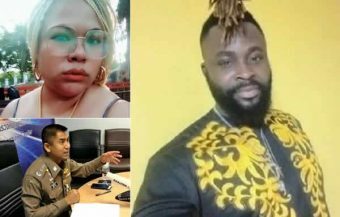 However, perhaps the most significant intervention came from the Bhumjaithai Party leader Anutin Charnvirakul who said that he stands ready to come to assistance of both the foundation president, Daycha Siripatra and the staff member jailed last week, Pornchai Chulert. Many activists who have campaigned for access to medical marijuana in Thailand are beginning to now insist that the system is an open one. This is also the stated policy of the Bhumjaithai Party which is enthusiastically supported by users of the drugs and Thai farmers who wish to be able to freely grow and cultivate the crop. The raid last week and warnings from the Narcotics Control Board are being interpreted by activists now as a sign that the government is determined to have a closed system. Many have, therefore, become critical of the law which was initially hailed with such fanfare at the end of last year as restrictive, cumbersome and even already ‘obsolete’ to requirements on the ground among people in need. The Bhumjaithai Party leader this week seemed to confirm this view when voiced support for the Khao Kwan foundation. Activists and supporters of medical marijuana and cannabis have come forward all week to openly question the message that the raid sent and promised to come to the assistance of the Khao Kwan duo. 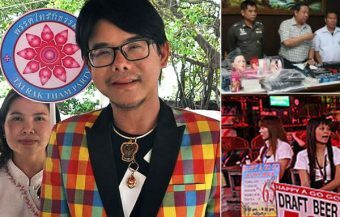 ‘I am ready to be the guarantor and fight the case for Daycha Siripatra and Pornchai Chulert,’ the leader of the Bhumjaihai Party promised. The political party leader praised the work of the Suphan Buri based foundation and its efforts to provide medical marijuana to sick people in their area, free of charge. There is a strong suspicion and fear, among those who initially supported the law to make medical marijuana or cannabis legal in Thailand, that it will end up being a controlled monopoly. The biggest fear of all had been, up to now, that it would lead to international players controlling the industry. 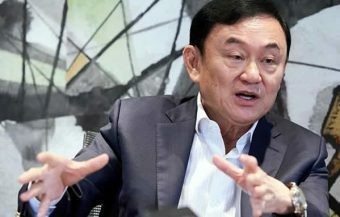 However, now there is also opposition coalescing to what is looking like a monopoly being imposed by Thai regulatory agencies through strict controls making access to the drug only available through official channels. However, it may be that Thai authorities are signaling that the current, haphazard regime must come to an end and that a clear line between what is legal and illegal is drawn at some stage in the future. It is clear that a huge danger would ensue if an absolute free for all emerged in the cultivation and use of cannabis across Thailand. So the difficult and challenging position for Thai authorities must be borne in mind particularly considering the very real threat to Thailand’s security and the well being of society posed by illegal drugs and criminal networks. The new law gives organisations such as the Suphan Buri foundation until May to register and seek a licence under the new structures. 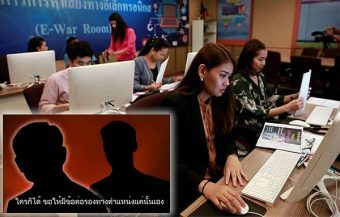 It may well be a signal for any valid organisation such as the Suphan Buri foundation to sign up and for others to sign off from what will still be an illegal activity once the new regime becomes effective. Thai authorities have been consistently making the point that possession of marijuana remains a serious criminal offence which can result in serious repercussions including a jail sentence if those in possession, without valid authorization, are detected by Thai police authorities. The new law and regime being established means that anyone handling the substance must obtain a valid license from the Food and Drug Administration authorities through its Narcotics Committee. Those eligible include registered medical practitioners, researchers, dentist and a whole range of practitioners as well as transport companies and organisation, including companies that are set up to cater for the needs of those seeking medical marijuana. All such companies must be Thai. The board of directors of such companies must also be overwhelmingly Thai. The organizations must also have offices in Thailand. It has also been confirmed,by the Food and Drug Administration that the manifesto put forward by the Bhumjaithai Party, prior to the election, is not in keeping with the new law and the medical cannabis treatment regime it creates. The new law insists that all handlers of marijuana be approved and hold a valid authorization from its Narcotics Control Board. This position has been underlined consistently by the Secretary General of the Food and Drug Administration, Doctor Tharet Kratnairaveewong. The cultivation of the medical cannabis crop is also being proposed to be managed within a closed system coordinated by state agencies while those obtaining medical cannabis products must also be registered and receive the drug through approved organisations. For any foreigner in Thailand seeking medical cannabis for future use, the key effects of the new law is that all cannabis should be reported to the Thai police to avail of the current amnesty in force while the user should seek out an approved organisation or medical practitioner who can prescribe medical cannabis through the new regime legally and above board for the future. It is not clear what the legal status of foreigners is but it may be assumed that foreigners with registered addresses and a valid medical history in Thailand will qualify for the amnesty. In the meantime, the cultivation of cannabis or possession of cannabis will remain strictly illegal if not disclosed and will again become illegal even for those who register once he amnesty period ends unless, by the,n they are under the care or auspices of an approved practitioner or organization from whom he will receive a supply of medical cannabis. This transition period is the window during which to regularize matters. For foreigners visiting Thailand, a visit to a hospital or approved practitioner will be required to avail of legal medical cannabis which must be obtained through official channels. Obviously, currently the situation is in state of flux with apprehension on both sides. On the one hand are governing authorities determined that a free for all is not countenanced or does not get out of hand while existing medical cannabis users, availing of local and casual networks, are nervous about such things as the costs if the new supply, regulatory details and even certainty of supply. It is safe to predict that once the new regime comes into force, there will be a campaign to target those still operating outside the system. However, the matter is becoming one of concern to a growing network throughout Thailand of those using the drug for medical purposes. Many ill people and their families simply have no choice and face the fear of losing their regular supply. The success of the Bhumjaithai Party expresses a growing will among people both in Thailand and throughout the world to free up and make access to this resource as easy, flexible and inexpensive as possible. This is not quite what the new law proposes and its success of failure will depend on how it delivers that goal. On the other hand, it must be noted that there are very negative side effects to cannabis or marijuana despite its growing acceptance around the world. The regular use of the drug has been proven and shown by experts in repeated studies, to cause psychosis and mental disorders. The trade off is that the conditions that the drug treats so effectively, are far more debilitating and painful to users. Many people today, seeing family members and close friends in need of this treatment, are thinking with their hearts and do not want to see those in need denied relief for extremely painful and disruptive medical conditions. Therefore, the issue of cannabis or marijuana use has become a pressing one in Thailand more so, perhaps, than other societies because of the elaborate and deep network of family and friends that make up the Thai nation. The rise of the Bhumjaithai Party illustrates an d confirms this. Yet, there is a clear line and divide between the law passed late last year and the sort of open regime for medical cannabis being proposed by the the Bhumajaithai Party and a huge network of activists who pushed for the law in the first place. It is a valid bit of business for the new Thai parliament and political leaders in Thailand to attend to.